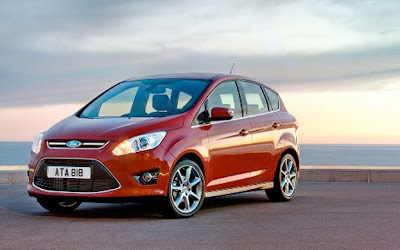 Ford’s all-new C-MAX has become the fastest-selling hybrid ever at launch, with 8,030 sales in its first two full months on the market in October and November. This significantly outpaces Toyota Camry Hybrid’s 7,300 sales in its first two full months in May and June 2006. C-MAX hybrids also are selling three times faster than the combined sales for the Toyota Prius and Honda Insight when launched in 2000. Ford sold 8,999 C-MAX hybrids through November, a figure projected to surpass by 40 percent through December the combined Prius and Insight launch sales of 9,350 in 2000. C-MAX sales would represent four months compared to the initial combined 18 months of Prius and Insight sales. Ford achieved its best electrified vehicle sales month ever in November with a total of 7,157 sales, with C-MAX hybrids acting as the driving force behind the milestone. Ford is projecting an all-time record quarter for hybrid sales at December close. More than half of Ford’s hybrid sales this year are expected to come in the final quarter of the year as the company continues to ramp up production of Fusion Hybrid and Fusion Energi plug-in hybrid. C-MAX hybrid sales totaled 4,848 in November, up 52 percent month-over-month. November marked the first month both C-MAX Hybrid and C-MAX Energi plug-in hybrid were available on dealer lots.